WASHINGTON, DC – April 19, 2012 – (RealEstateRama) — Existing-home sales were down in March but continue to outpace year-ago levels, while inventory tightened and home prices are showing further signs of stabilizing, according to the National Association of Realtors®. Total existing-home sales1, which are completed transactions that include single-family homes, townhomes, condominiums and co-ops, declined 2.6 percent to a seasonally adjusted annual rate of 4.48 million in March from an upwardly revised 4.60 million in February, but are 5.2 percent above the 4.26 million-unit pace in March 2011. Total housing inventory at the end of March declined 1.3 percent to 2.37 million existing homes available for sale, which represents a 6.3-month supply2 at the current sales pace, the same as in February. 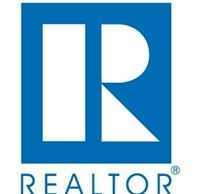 Listed inventory is 21.8 percent below a year ago and well below the record of 4.04 million in July 2007. The national median existing-home price3 for all housing types was $163,800 in March, up 2.5 percent from March 2011. Distressed homes4 – foreclosures and short sales sold at deep discounts – accounted for 29 percent of March sales (18 percent were foreclosures and 11 percent were short sales), compared with 34 percent in February and 40 percent in March 2011. Foreclosures typically sold for an average 19 percent below market price in March, while short sales were discounted 16 percent. According to Freddie Mac, the national average commitment rate for a 30-year, conventional, fixed-rate mortgage was 3.95 percent in March, up from a record low 3.89 percent in February; the rate was 4.84 percent in March 2011; recordkeeping began in 1971. All-cash sales slipped to 32 percent of transactions in March from 33 percent in February; they were 35 percent in March 2011. Investors account for the bulk of cash transactions. Investors purchased 21 percent of homes in March, down from 23 percent in February and 22 percent in March 2011. First-time buyers accounted for 33 percent of transactions in March; they were 32 percent in February and 33 percent in March 2011. Single-family home sales declined 2.5 percent to a seasonally adjusted annual rate of 3.97 million in March from 4.07 million in February, but are 5.9 percent above the 3.75 million-unit pace a year ago. The median existing single-family home price was $163,600 in March, up 1.9 percent from March 2011. Existing condominium and co-op sales fell 3.8 percent to a seasonally adjusted annual rate of 510,000 in March from 530,000 in February, and are unchanged from March 2011. The median existing condo price was $165,200 in March, which is 7.1 percent above a year ago. Regionally, existing-home sales in the Northeast declined 1.7 percent to an annual level of 580,000 in March but are 5.5 percent higher than a year ago. The median price in the Northeast was $228,300, down 1.9 percent from March 2011. Existing-home sales in the Midwest were unchanged in March at a pace of 1.02 million but are 15.9 percent above March 2011. The median price in the Midwest was $132,800, up 5.2 percent from a year ago. In the South, existing-home sales slipped 1.1 percent to an annual level of 1.75 million in March but are 3.6 percent higher than a year ago. The median price in the South was $146,500, up 6.2 percent from March 2011. Existing-home sales in the West fell 7.4 percent to an annual pace of 1.13 million in March and are 0.9 percent below March 2011. The median price in the West was $198,300, up 1.6 percent from a year ago. 1Existing-home sales, which include single-family, townhomes, condominiums and co-ops, are based on transaction closings from multiple listing services. Changes in sales trends outside of MLSs are not captured in the monthly series. A rebenchmarking of home sales is done periodically using other sources to assess the overall home sales trend, including sales not reported by MLSs. Existing-home sales differ from the U.S. Census Bureau’s series on new single-family home sales, which are based on contracts or the acceptance of a deposit. Because of these differences, it is not uncommon for each series to move in different directions in the same month. In addition, existing-home sales, which account for more than 90 percent of total home sales, are based on a much larger sample – about 40 percent of multiple listing service data each month – and typically are not subject to large prior-month revisions. 2Total inventory and month’s supply data are available back through 1999, while single-family inventory and month’s supply are available back to 1982 (prior to 1999, condos were measured quarterly while single-family sales accounted for more than 90 percent of transactions). 3The only valid comparisons for median prices are with the same period a year earlier due to the seasonality in buying patterns. Month-to-month comparisons do not compensate for seasonal changes, especially for the timing of family buying patterns. Changes in the composition of sales can distort median price data. Year-ago median and mean prices sometimes are revised in an automated process if more data is received than was originally reported. 4Distressed sales (foreclosures and short sales), all-cash transactions, investors and first-time buyers and are from a monthly survey for the Realtors® Confidence Index, posted at Realtor.org. We are no longer publishing data on contract cancellations because many buyers are staying in the market and offering another contract, and sales have been holding up much better than the fallout rate would imply. The Pending Home Sales Index for March will be released April 26, existing-home sales for April is scheduled for May 22 and first quarter metro area home prices will be released May 9; release times are 10:00 a.m. EDT. Information about NAR is available at www.realtor.org. News releases are posted in the website’s “News and Commentary” tab. Statistical data in this release, as well as other tables and surveys, are posted in the “Research and Statistics” tab of www.realtor.org.